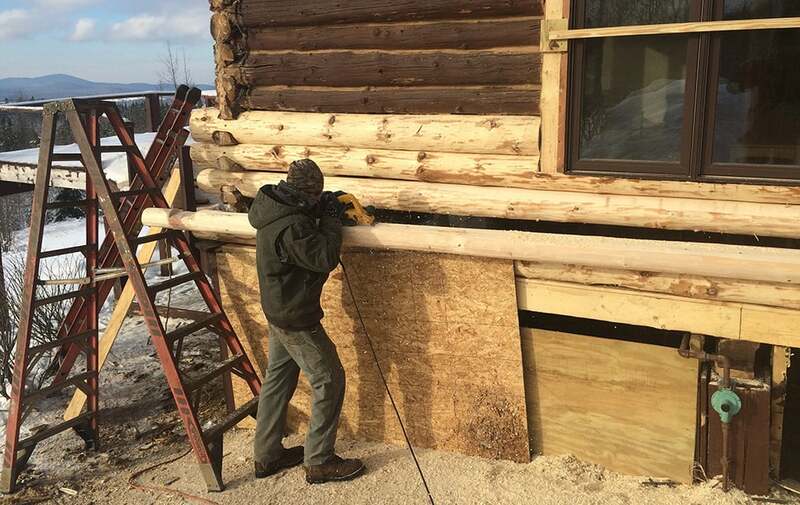 As with any exposed surface, log homes will start to show signs of wear. The three most common enemies of wood are: UV damage, insect infestation and excessive moisture. Exposure to these vices are usually from vegetation too close to the house, exposure to water runoff, snow buildup and harmful UV rays. Once water or sun damage occurs, the logs begin to break down, providing the perfect habitat for insects. The replacement process — modern homes to cabins from the 1800s. 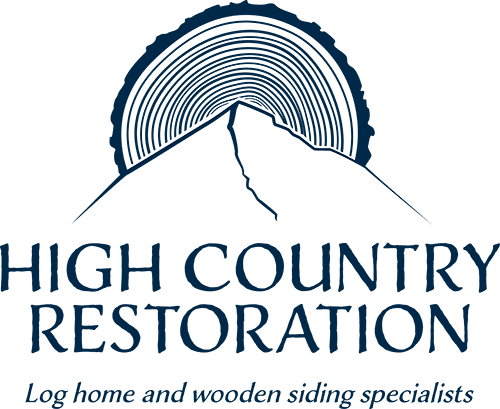 Replacing damaged logs requires a high level of detail, from identifying and treating what caused the impairment, to matching the exact species of wood to ensure a proper match. We blend new stain shades for a flawless finish and treat with Borate solution to prevent any further insect infestation. In addition to aesthetics, replacing logs in an existing structure requires technical carpentry and structural skill. Our team must properly align new logs, especially in load-bearing walls, and near windows and doors. We’ve reinstalled windows, doors, decks and porches, taking care to not only maintain and improve the appearance of your home, but reinforcing its structure as well.